Police officers often receive little or no training about hidden disabilities and often don't know what to look for when they suspect something is “off” about a person. Officers may receive crisis intervention training or some education on mental illness, but there is still a lack of information on the hidden disabilities overall. While a significant amount of people have I/DD (2-3 percent of the general population),2 out of that number a vast majority have “mild” I/DD. Anywhere from 85 to 89 percent of people with intellectual disability have a “mild” intellectual disability that is not recognizable by outward appearance. This can lead to very real problems for the person with a disability, whether victim or suspect. People with “mild” intellectual disabilities can often acquire academic skills up to the 6th grade level. They can become fairly self-sufficient and in some cases live independently with community and social support. Note that the term “mild” is used in quotes because the term itself can be misleading. 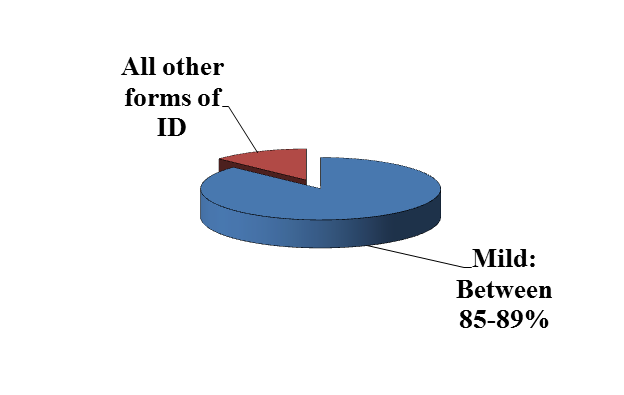 The term “mild” is used only in comparison to the other categories of ID and is in no way a less significant disability. Most people are aware that the rate of autism is on the rise. CDC reports that one in 68 children has autism.3 Autism is characterized by difficulty in communicating and forming relationships with other people and in using language and abstract concepts. Autism spectrum disorder (ASD) can be associated with intellectual disability, difficulties in motor coordination and attention and physical health issues such as sleep and gastrointestinal disturbances. Some persons with ASD excel in visual skills, music, math, and art. CDC studies have shown that 0.2 to 1.5 cases of fetal alcohol spectrum disorder (FASD) occur for every 1,000 live births in certain areas of the United States.4 Fetal alcohol spectrum disorders (FASDs) are caused by a woman drinking alcohol during pregnancy. Alcohol in the mother's blood passes to the baby through the umbilical cord, which can then damage the baby's brain. The effects of FASD can include physical problems and problems with behavior and learning. Often, a person with an FASD has a mix of these problems. FASDs last a lifetime. There is no cure for FASDs, but research shows that early intervention treatment services can improve a child's development. How could disability be playing a role? Whom can I call for support or assistance? To learn more about this topic, contact the National Center on Criminal Justice and Disability (NCCJD). NCCJD's goal is to build the capacity of the criminal justice system to respond to gaps in existing services for people with disabilities, focusing on people with I/DD who remain a hidden population within the criminal justice system with little or no access to advocacy supports or services. Police officers and other first responders are key to ensuring positive outcomes for people with I/DD and their families. To learn more about NCCJD, request assistance with a specific case or training, visit NCCJD's website. 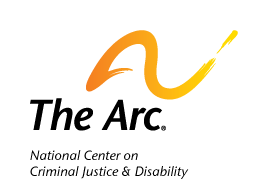 1 See appendix A for The Arc and AAIDD's position statement on Criminal Justice. It is a joint position statement currently undergoing update and review. 2 Daily, D.K., Holly H. Ardinger, and Grace E. Holmes, “Identification and Evaluation of Mental Retardation,” American Family Physician 61(4): 1059–67, http://www.aafp.org/afp/2000/0215/p1059.html. PMID 10706158..
3 “Autism Spectrum Disorder,” Centers for Disease Control and Prevention, last modified March 24, 2014, http://www.cdc.gov/ncbddd/autism/data.html. 4 “Fetal Alcohol Spectrum Disorders (FASDs),” Centers for Disease Control and Prevention, last modified May 23, 2014, http://www.cdc.gov/ncbddd/fasd/data.html.